There is nothing worse than taking your class to an assembly only to have to leave because one of your kids is having a melt-down. I love the outreach programs the National Park Services provide, including school visits by Woodsy Owl and Smokey the Bear. If your children are about to meet Woodsy, here is a guide to show them the rules and help them not be scared! And remember….give a hoot, don’t pollute! Author Brett BighamPosted on February 25, 2018 Categories Ability GuidebookTags Ability Guidebook, autism, autismo, brett bigham, National Park Service, oregon, State Teacher of the Year, Woodsy OwlLeave a comment on Because I LOVE the National Parks! 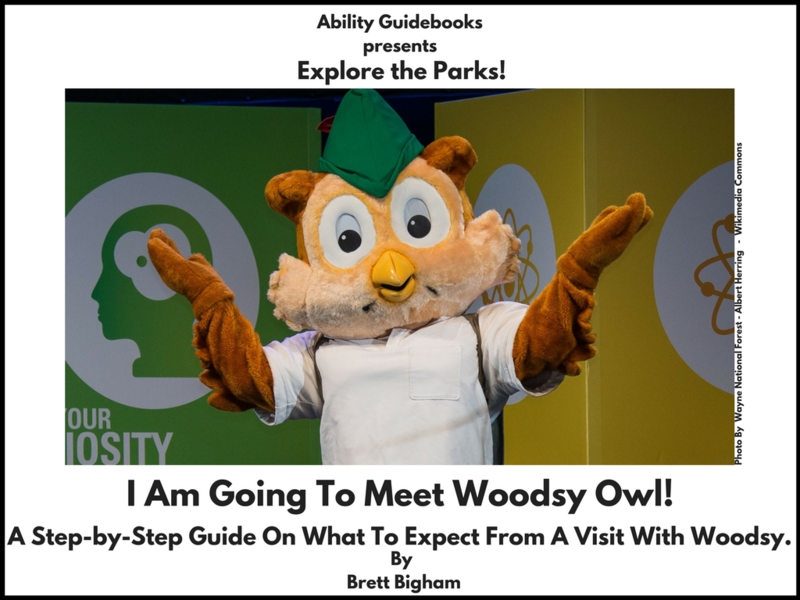 A Guide To Help Kids With Autism Meet Woodsy Owl! !